Boat insurance policies’ premiums are based on many factors, and there are several steps boaters can take to reduce their policies’ costs. If you need to insure a boat, here are five strategies for reducing your annual coverage costs. Almost every boater has another insurance policy and therefore, can qualify for a multi-policy discount. If you have an auto, homeowners, condo, or renters insurance policy (or any other kind of personal insurance policy, purchasing a boat policy from the same insurer should get you a multi-policy discount. Don’t mistake this discount as a trivial item simply because it’s a common discount. Multi-policy discounts are significant, often amounting to between 15 and 25 percent off. Moreover, the discount applies to all policies that an individual has with an insurer. You won’t just save on your boat insurance, but you’ll save on your other policy too. If you’re in a cold climate and don’t use your boat during winter, you can save while your boat is in storage by adjusting your insurance coverage for the off-season. Most insurers offer a type of comprehensive-only coverage. Such coverage will only cover damage that a boat sustains in a non-boating accident (e.g., a tree falling on a boat). The coverage isn’t adequate for when you’re boating, but it provides enough protection for your boat when it’s sitting in a garage or driveway for the winter. Reducing your coverage to comprehensive-only protection will provide substantial savings every month that your boat is in storage. Just remember to re-adjust your coverage when the weather warms up so that you’ll be sufficiently protected while on the water during the next boating season. Just as insurance companies offer discounts on auto insurance policies to drivers who complete approved driver safety courses, insurers also provide discounts to boaters who go through approved boater safety courses. In many cases, these discounts last for several years and are a percentage off of a policy. Before enrolling in any boater safety course, contact your insurance agent to find out what approved courses are available to you. You may have a selection of paid local courses, free local courses, and online courses to choose from. 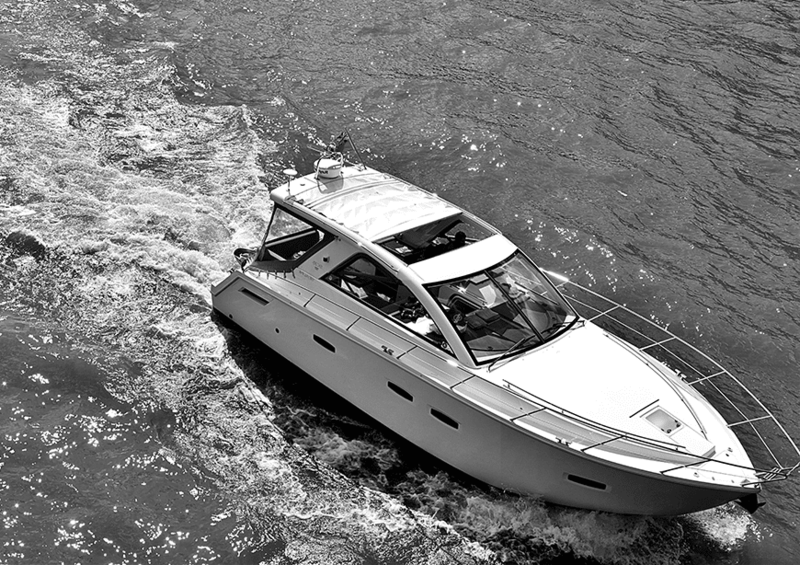 When shopping for boat insurance, you’ll come across two different types of policies. Agreed-value policies insure a boat for an agreed upon amount, and market-value policies provide coverage for a boat’s fair-market value. In some situations, agreed-value policies make sense. For example, you may want an agreed-value policy if you have a loan with an outstanding balance or your boat is highly customized. In these situations, the fairmarket value of the craft might not be equal to what it’d cost you to pay off the loan or replace the boat. If you’re looking for the most affordable coverage, though, a market-value policy will come with the lowest premiums. These policies typically have lower premiums than agreed-value policies that offer comparable protections. Having safety equipment on board reduces the risk of on-water accidents, which minimizes the likelihood that an insurer will have to pay for damage or injuries caused by an on-water accident. As a result, insurers offer discounts for carrying certain safety equipment on your boat. To find out if your particular insurer offers discounts for this equipment, contact your insurance agent. These are just some of the ways you can save on boat coverage. For help finding the most affordable boat insurance policy possible, contact us at The Trottier Insurance Group.